With Elgato Game Capture HD, you can record and stream your Xbox or PlayStation gameplay and share your journey with friends, fans and generations to come. Elgato Game Capture HD uses advanced hardware H.264 encoding to capture your gameplay in stunning 1080p Full HD, while keeping the file size low. At the same time, your console’s picture is passed through to your TV via HDMI, so you can keep on enjoying your game on the big screen – in pristine quality, without delay. First off, you should know that the software requires you connect the Elgato Game Capture HD60 device to your PC! 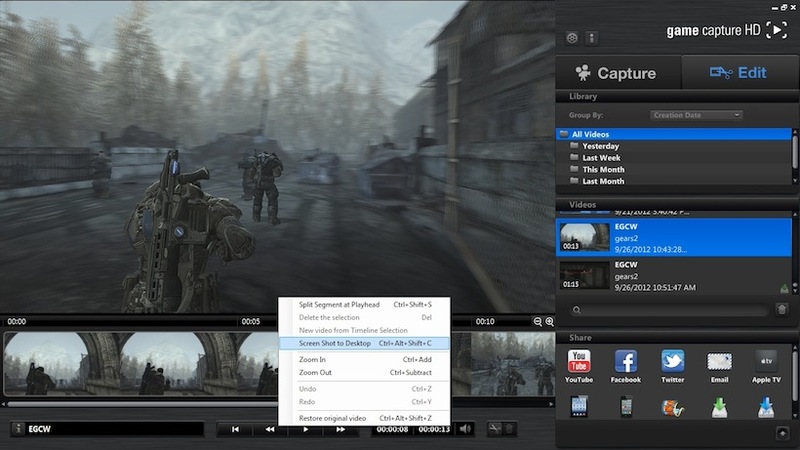 Elgato Game Capture HD connects to modern game consoles using HDMI. It can passthrough video to a TV set also using HDMI. An HDMI cable is included in the box. The HDMI passthrough offers real time video of the game, so you can play while watching your TV.